Where You Want to Be. 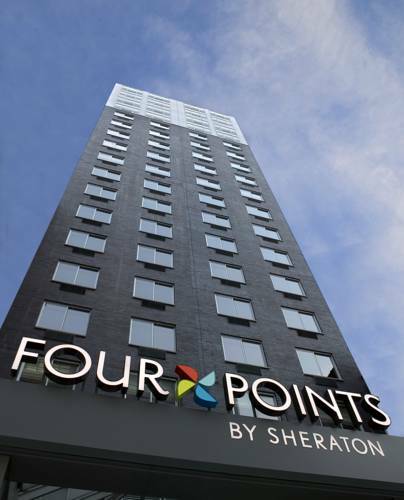 The Four Points by Sheraton Manhattan SoHo Village offers comfortable, clean, boutique-style accommodations in an accessible location. Walk to the citys most popular restaurants, shops, and galleries from our front door. Take the subway a few stops south to do business in the Financial District, or just wander around Chelsea, TriBeCa, Greenwich Village, Chinatown, and Little Italy. Travel for Work, Play, and Beer. Domestic, foreign, bottle, and tap. Four of our favorite words. We know how to serve a refreshing, cold beer and were not afraid to show it with our Best Brews in the lounge. We also have a state-of-the-art workout room and a business center to help you put the finishing touches on your presentation. The City That Sometimes Sleeps. We understand the best comforts in life arent complicated. Choose from 150 guest rooms and suites with uncluttered layouts and our Simple Pleasures(SM), including free bottled water daily and High Speed Internet Access. After a long day or night, relax in the Four Points by Sheraton Four Comfort Bed and enjoy the best sleep of your life. Our NYC hot spot thrives with the nearby unique shops, trendy restaurants, clubs, and entertainment. Surrounded by major business centers including the World Financial Center and Wall Street, bordered by Chelsea, Tribeca, Greenwich Village, Chinatown, and Little Italy, Four Points by Sheraton Manhattan SoHo Village is a great place to start your explorations.